Covariance and contra variance. Say what ?! 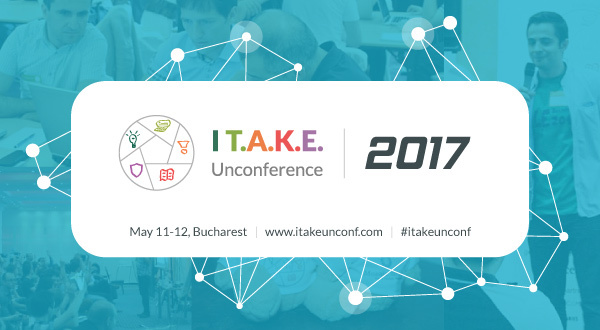 Alin Pandichi, Software Developer at MozaicLabs and facilitator of the monthly Coding Dojo meeting that is part of the largerBucharest Agile Sofware Meetup Group, will share during his talk at I T.A.K.E Unconference more about Covariance and contravariance. I’ll answer this with a little bit of story telling about how I became a software developer. The first two things that helped me were attending the computer science oriented high school and college. There, I learned the basics of computers and programming languages. I also noticed how effortlessly I was solving CS related problems, so maybe I was onto something. Number three: I got my first job straight out of college, developing a Swing rich client application saving data with JPA. This put me face to face with real world problems. I was faced with the fact that continuous learning is a must in this industry. Therefore, number four on the list is learning. For the first few couple of years, I kept devouring every Java-related article I could find on DZone. With each one, I found out something new: a useful tool, a Linux terminal command, a development methodology, etc. Last, but not least, is getting involved with local software development communities. I started attending meetups such as The Bucharest Agile Software Meetup Group and the Bucharest Java User Group. Gradually, I became an active member of both, giving a helping hand in organizing their events. On top of that, I also got involved in the wider community of Global Day of Coderetreat. My talk at I TAKE 2017 is one of the occasional opportunities I get to share what I know. They will find it easier to understand the concepts of covariance and contravariance, and how they are applied in the world of programming. In my experience, it was very easy to forget what these two words meant. Not anymore. I dream big, so my biggest source of inspiration is science fiction. My first serious SF encounter was with Frank Herbert’s Dune series. Out of the contemporary authors, I enjoy Neil Gaiman’s work very much. Whenever I get a chance, I tune into Nick Francis’ podcast called Quiet Music. It is a blend of low beat music of various genres: electronic, jazz, instrumental, folk, light rock, and so on. Cinema is one of my other hobbies. I am very much interested in following every film festival happening in Bucharest. Also, the Romanian cinema of the past two decades has offered many gems so far, and it continues to do so. Want to join Alin and ~300 software crafters from around Europe?